From Now you can use air gestures App of Galaxy S4 on our Galaxy Y GT-S5360. This dream has partially come true by the help of xda-developers member forgin he has developed this Awesome app that simulates the S4 air gestures. And The Great part about this is that it's free and it requires only Android 2.2 and above. This awesome app uses the proximity sensor that the Galaxy Y has on the front, As now we won't only use the proximity sensor for shutting off the screen while making calls. Set apps to open with all the available gestures. 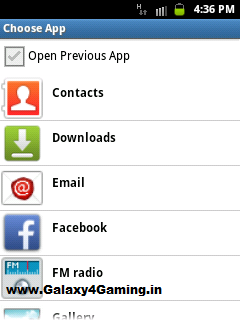 QuickGlance like Galaxy S4 has!!! Control your music player (next/previous/pause/resume) even with screen off!!! Shake phone during a call to activate/deactivate speakerphone. 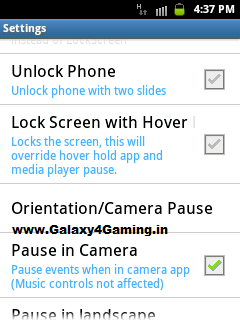 Lock/Unlock screen with hand slides! And if you have your phone Rooted.